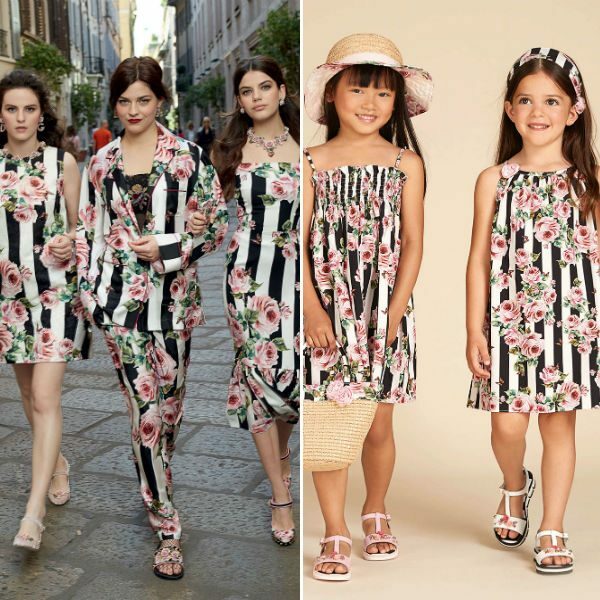 Love this DOLCE & GABBANA Girls Mini Me Rose Black Stripe Sun Dress for Spring Summer 2018. Inspired by the Dolce & Gabbana Women’s Love Christmas Collection, your little fashinonista will look adroable wearing this pretty sun dress made in fine cotton and has a pink rose and black stripe print. Looks adorable with a straw hat or matching bandana.